3) Click Here to Vote NOW! Use Social Media. Post on your Facebook page and extend your reach to alumni, friends and family. Local Papers. Have them profile your students creative efforts to win the contest and get your community involved to generate votes. Email & Announcements. Email friends & family, and pass out reminders at school. Send in Extra Credit projects such as photos, artwork, videos and website links. Extra Credit increases your chances to win the 2nd Chance Draw. Extra Credit projects are shown on TV! Welcome to The Weather Machine! 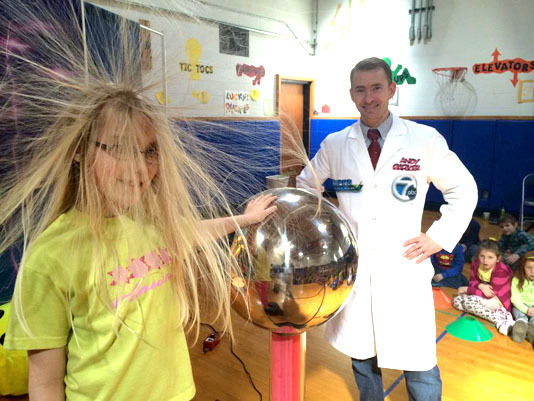 Meteorologist Andy Parker will literally bring the weather into your school! The Weather Machine is capable of producing all types of weather elements, from actual tornados & lightning to snowstorms and just about anything in between. The auditorium presentation is upbeat, edge of your seat and filled with energy as the secrets of the atmosphere are unlocked and demonstrated with the assistance of student scientists selected from the audience. Click to See The Weather Machine in Action! - The school with the most votes at the end of the contest period will win a visit from Andy Parker and The Weather Machine. - Results are shown each day on Channel 7 at 5:15am, 6:15am & 5:15pm so you can track how your school is doing in the contest. - Vote as often as you like and encourage your friends and family to vote as well! Get your friends & family to vote for your school! Back again this year we will continue the popular “2nd Chance Draw”. While the school with the most votes at the end of the contest period will automatically win a visit from Andy Parker's Weather Machine the remaining schools in the TOP 10 will be entered in a drawing to win the 2nd Chance Draw... Shown LIVE on Channel 7 at 6:15am. The winner of the 2nd Chance Draw will also receive a visit from Andy Parker's Weather Machine. The higher your school finishes in the the TOP 10 the greater your chances of winning the 2nd Chance Draw. Schools can submit Extra Credit to increase their chances of winning the draw as well..
See video of a 2nd Chance Draw. Click here for details on Extra Credit! 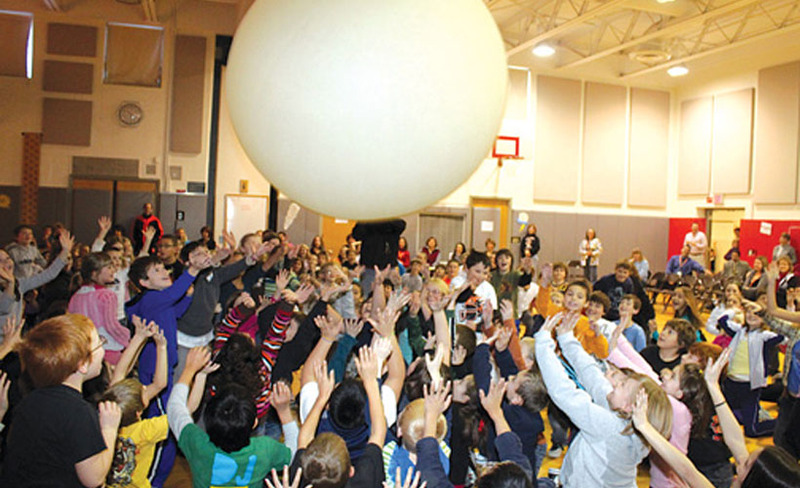 The Weather Machine presentation is a great STEM learning experience for Science, Technology, Engineering, and Mathematics geared for students in grades K-6. The contest promotes school spirit and can be a great learning tool for students to experience problem-solving, discovery, exploratory learning and actively engaging a situation in order to find its solution. Again this year I'll be demonstrating the “Green Energy” elements of The Weather Machine and how they are all around us. These demonstrations are meant to inspire the scientist and inventor in each student! 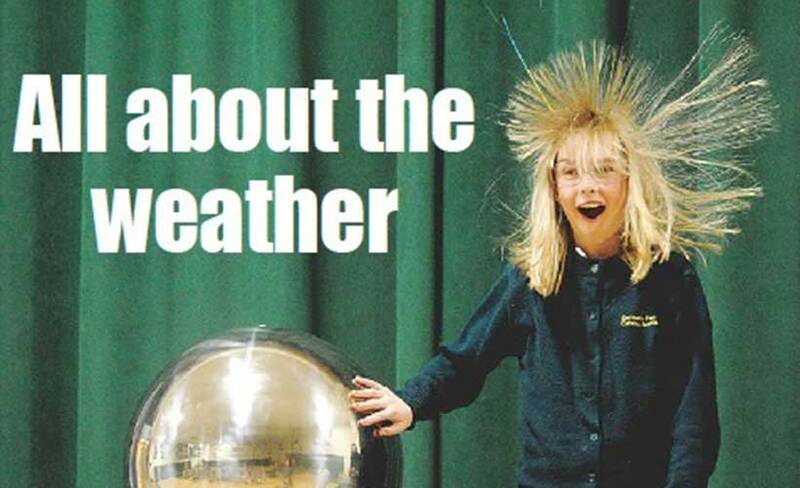 I would love to bring The Weather Machine to your school! So tell your family & friends to watch Channel 7 each morning/evening and use The Weather Machine Word of the Day to vote for your school!